Imagine being able to store more gear or a toy or two on the front cargo deck while moving down the road to your favorite campsite. With this Clipper V-Trec camping trailer, you can do just that! 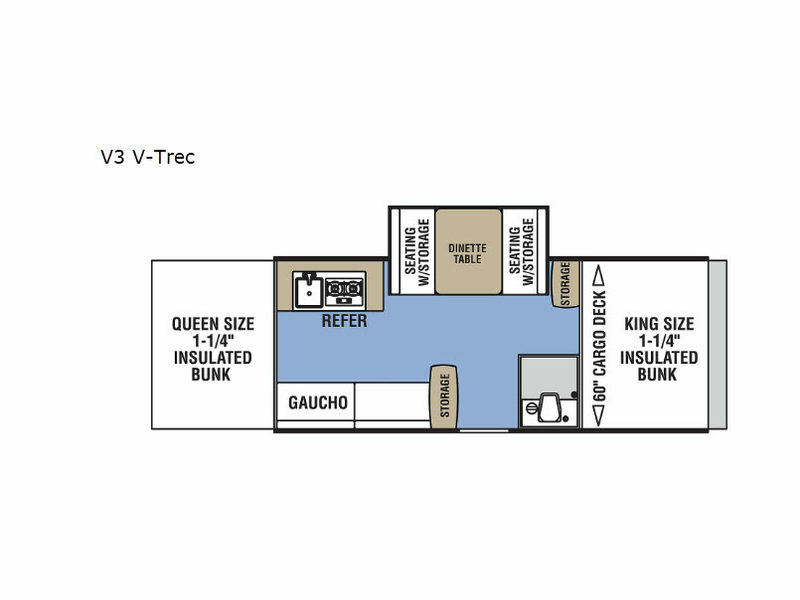 You will also be able to sleep indoors with nature just a few steps away because of the king and queen insulated tent beds that have been included. 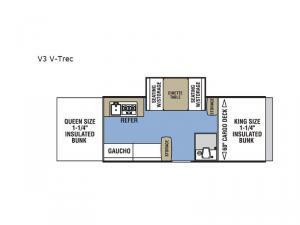 You will also find a booth dinette within the single slide and a gaucho if a sixth space is needed. You can even cook meals with the interior E-Z swing galley or the exterior LP grill, and you can get cleaned up after dinner in the wet bath.